Almost every international investor eyeing Guyana’s booming business environment wants to be part of the oil and gas bonanza. 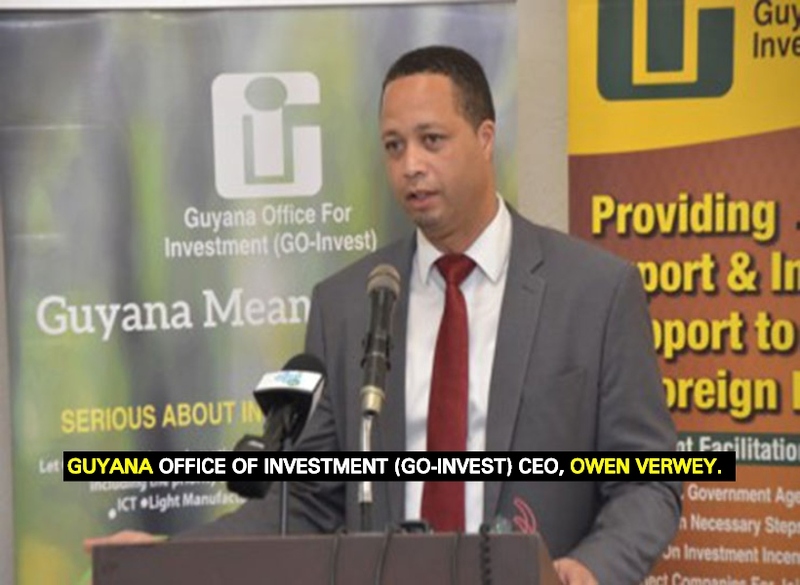 But not China says Chief Executive Officer of the Guyana Office of Investment (Go-Invest), Owen Verwey. Based on the applications received, Verwey says that China’s interest remains with the forestry sector. He noted that there has also been an increased desire to take over the construction industry. China’s “renewed” interest in the construction sector would also strengthen arguments that it has serious intentions to tie Guyana to its Belt and Road Initiative otherwise known as “the diplomatic debt trap.” Governments from Sri Lanka and Pakistan were lured by China’s enticing offer to fund major infrastructural works. China cared not about how those governments chose to spend the billions of dollars loaned to them. The interest rates were high enough to leave generations of their people swimming in debt and there was a guarantee that Chinese workers would be employed to work on the infrastructural projects. Today, more than eight countries are at serious risk of not being able to repay their loans. Guyana has already signed on to a Memorandum of Understanding (MoU) for the Initiative.